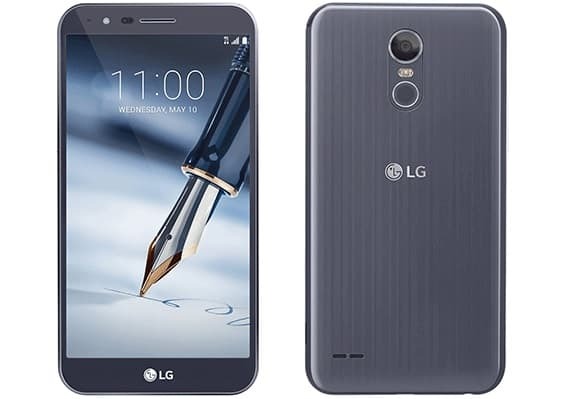 LG Mobiles, on Thursday, has released a new smartphone named LG Stylo 3 Plus in the US. The smartphone is currently being offered for sale by T-Mobiles at a price of 225 US dollars. The smartphone comes with Android Nougat 7.0 OS and a stylus which resides at the top of the device. It has a 3080 mAh removable battery which lasts longer and supports Quick Charge 2.0. Design-wise, LG Stylo 3 Plus follows the design of its predecessor with slight variation in texture at the back. It has a metallic removable back cover which houses the massive battery. The back cover also serves home to the rear camera and the fingerprint scanner which is present at the top middle portion. A 5.7 inch full HD screen with a resolution of 1080 x 1920 pixels is what the device offers in front along with a stylus which also serves the purpose of navigation. Talking about the processor, the device has a 1.4 GHz Snapdragon 435 octa-core chipset supported by 2GB of RAM. It has 32 GB of internal storage which is expandable up to 128 GB via micro-SD. The phone has a 13 MP primary for capturing clear pictures and 5 MP front camera with face detection feature to click selfies. Wi-Fi b/g/n, Bluetooth v4.2, NFC and micro USB tethering are the main connectivity options available in this device. The device has a nano SIM slot and supports 4G VoLTE connectivity. It also has a 3.5 mm audio jack for media and music support. The device lasts up to 25 hours in standby and only up to 14 hours over talk time respectively. Hence, at a price of USD 225, LG Stylo 3 Plus is a decent smartphone with medium-range hardware. The calligraphic stylus, wide HD screen, strong battery and an excellent UI will definitely attract a group of users, however, its mediocre hardware and camera features might let down some of them. Despite that, this device has a lot to offer to people out there looking for a stylus-supportive smartphone.